Combine sweet and sour to create an irresistible flavour. This is a simple recipe to make lime ice cream which I think you’ll really love. 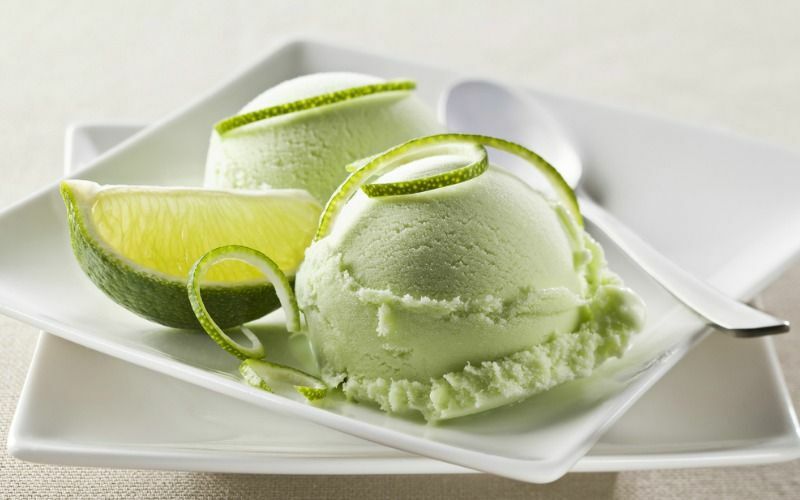 The combination of zesty lime with sweet, creamy ice cream works well. As always, it’s preferable to use fresh limes for your dessert. If they’re hard to find then no problems, you can use the bottled juice. When it’s time to eat, you could combine the ice cream with a piece of chocolate cake or fresh strawberries for the ultimate dessert. Follow steps 1-5 below then add to a container and place directly into the freezer. After 30 minutes, remove and beat the ice cream until smooth, then continue freezing. Beat the ice cream at least two more times as it continues to freeze. The end result will be lovely creamy ice cream. Heat cream and milk in a large saucepan until simmering then remove from heat. Stir in lime juice, salt and food colour and refrigerate for at least 2 hours. Churn ice cream as per ice cream maker manufacturer's instructions. As the ice cream begins to harden add the zest of lime. Once churning is complete, scoop ice cream into an airtight container and freeze for 2 hours or until hardened. You can leave the green food colour out of this ice cream if you prefer a more natural ice cream. No Replies to "Zesty Lime Ice Cream"